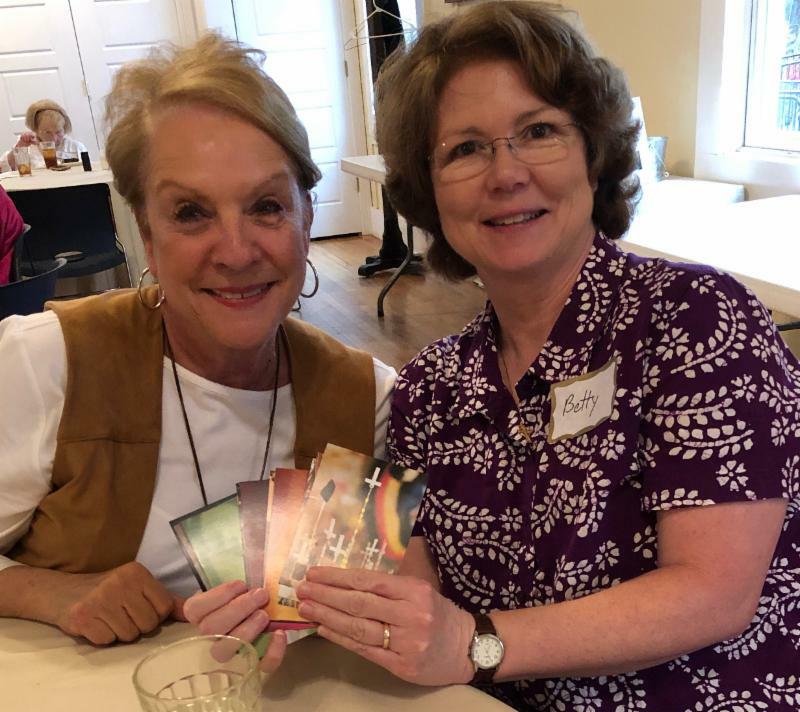 Last week, the Trinity Vestry hosted its first "Life Together at Trinity Church" potluck dinner where 30 parishioners enjoyed a delicious meal followed by table talk , using questions on cards to share an experience or story. Benedict Hall was quiet with holy listening and sharing, followed by laughter and hugs. Then, you can save it to your desktop, or anywhere in your computer files. You can also print a copy from the pdf document. For those who do not use email, we will print and send you a copy. 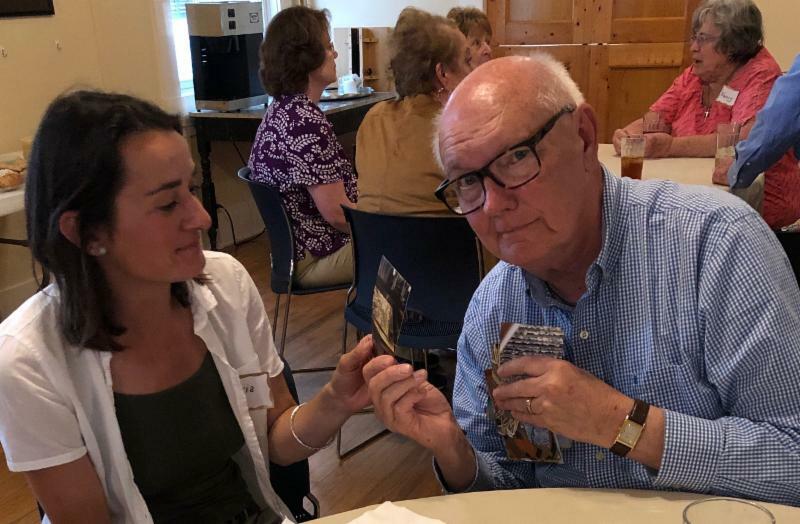 We still need photos of some of you, which we can add at any time; watch for Mike Seibert and his camera during coffee hour. In the near future, we will set up the Directory online, and we will let you know how to access that option. 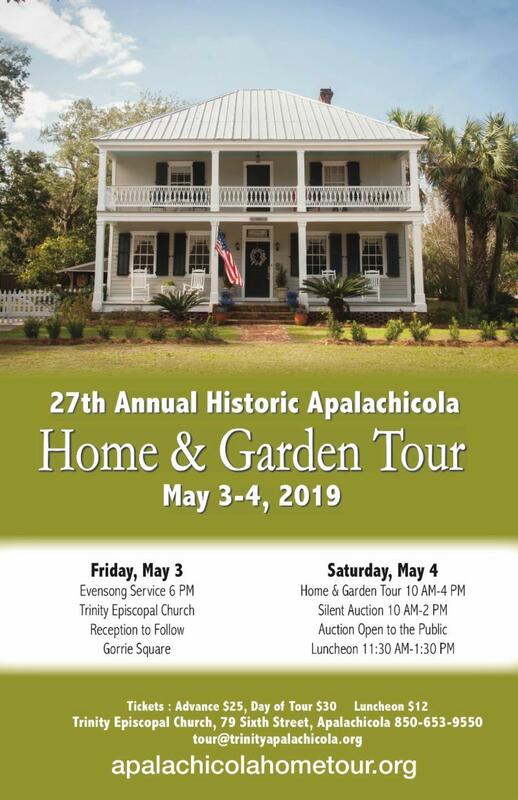 In the meantime, if you need to update your information, or if you do not see next week's email, please let us know at info@trinityapalachicola.org or call the church office at 850-653-9550. The Vestry met on March 11 with all members present. Old Business included: Kim Davis will be scheduled to educate parishioners about digital giving; a brokerage account was established, so a gift of stock can be transferred to the church; TOH issues have been resolved; the second potluck dinner "Life Together as Trinity in Community" will be scheduled soon; a search for Parish Life Chair continues; Ralph Wagoner has agreed to chair the financial committee, on condition that he have an understudy to eventually assume this position; and St. Ben's pre-school is officially out of the building, and vacant rooms are being utilized by the TOH. New Business included: a request in the bulletin asking parishioners to move in from the aisle, in order to be more welcoming to visitors; a bronze plaque honoring Jane Pickering will be ordered and placed in Penny's Worth; the pews and chairs will NOT be replaced but will be deep-cleaned and repaired, and a team to be formed to review the need for cushions; parking spaces will be painted on the city right of way by the Jason White Company, and Trinity will continue to have five (5) handicapped spaces; one contractor has responded to providing estimates for church building repairs; the church will be pressure-washed before Easter; the Memorial Fountain will be monitored for a possible leak, and concern was expressed regarding the fading of its tiles and the need to re-seal; the sound system is fully repaired and wiring and shelving will be provided by Randy Mims for a plug-in device; Donna provided information regarding up-coming diocesan events to be attended by interested persons; a team will be formed to find an interim musician for the summer; and Erica Head will be the guest soloist for Easter Service. As of the end of February, the financial picture for Trinity is sound. Most income lines are ahead of projections; fund balances are positive; and, our investments with the Episcopal Foundation are beginning to show positive gains following a lackluster end to FY 2018. Donna and Shannon are examining office and administrative expenses. Members of the Committee are: Kim Davis, Toonie Waddell, Ron Bence, Lee Bettis. CT Ponder, Tom Edwards, and Ralph Wagoner, Chair. ﻿Note : The Committee is searching for someone to step in as Vice Chair for 2019 with the intent of assuming the Chairperson role next year. 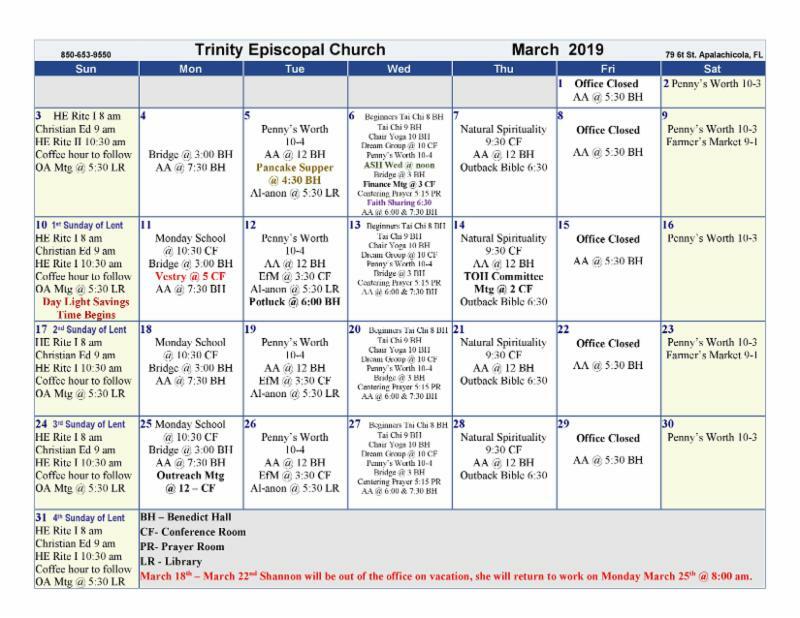 Trinity’s Outreach Committee has adopted Boy Scout Troop 347, Franklin Elite 4-H Group, and the Matchbox as the official recipients of our Loose Change effort during Lent. Loose Change jars are located in the Church, Benedict Hall and the Church Office. The change will be used to send kids to camp this summer. Please be generous. In addition, Outreach is holding a fund-raising BBQ Dinner on Sunday, April 7 after the 10:30 service in Benedict Hall in support of summer youth activities including Scouts, 4H, and the Matchbox. Dinners are $10. Dine in or take out. BUY IT NOW -- A separate tent where all items are priced to be sold without bidding . Customers can pay for, and take their items with them. TAKE AWAY – Offering two ways to buy an auction item . As in previous auctions, you may bid, increasing your bid at any time during auction hours, with the highest bid winning the item. With the new TAKE AWAY option, patrons can pay the TAKE AWAY price and buy the item without bidding. Only a select number of items will be designated as TAKE AWAY , and these items will be paid for and removed from the tent when purchased. 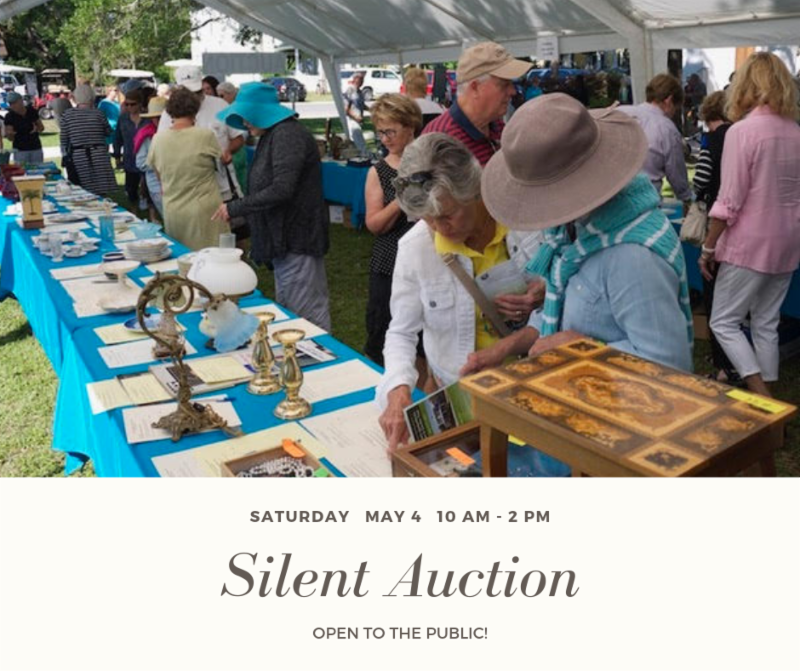 Also, as a courtesy to our TOH patrons, the auction committee plans to have space available, probably in the conference room, for people who need to leave their purchases while enjoying the tour. The purpose of these two new options is to streamline the processing at the close of the auction. With fewer items to be processed the wait time for patrons to claim their purchases should be reduced. 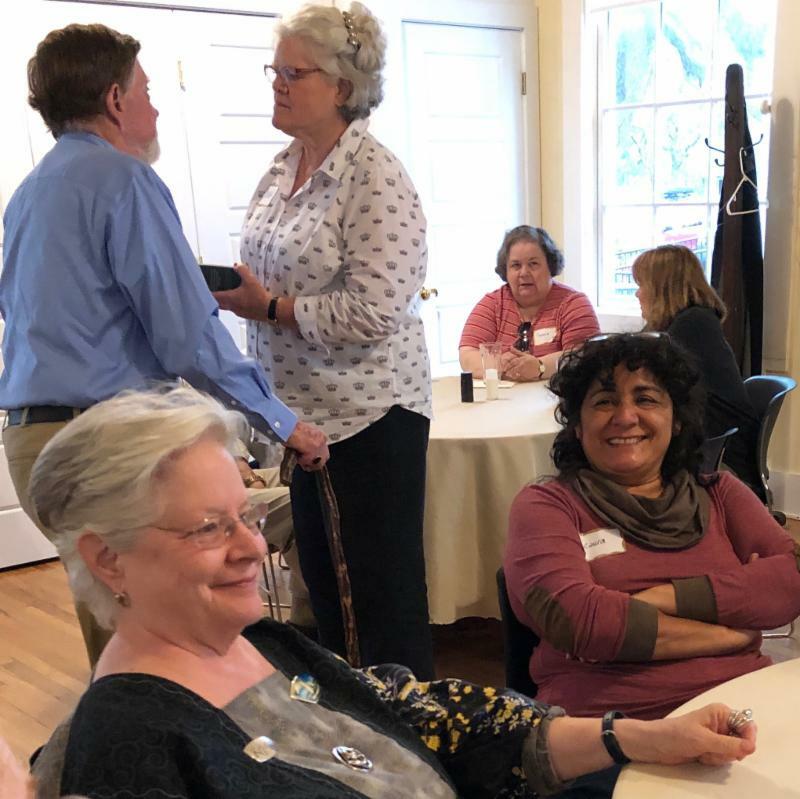 Foyer Groups are a popular tradition at Trinity, and it is time organize groups for gatherings which will begin meeting in May, following the Tour of Homes. The Foyers are a great way to get to know new parishioners, as well as to deepen relationships with old friends. Groups of about eight people gather a few times during the year for a meal in someone’s home or in a restaurant; or plan an outing such as a picnic or excursion. Each group establishes its own plan and schedule. Sign up on the sheets in Benedict Hall, or call or text Mickey Harris at 770-826-5176. 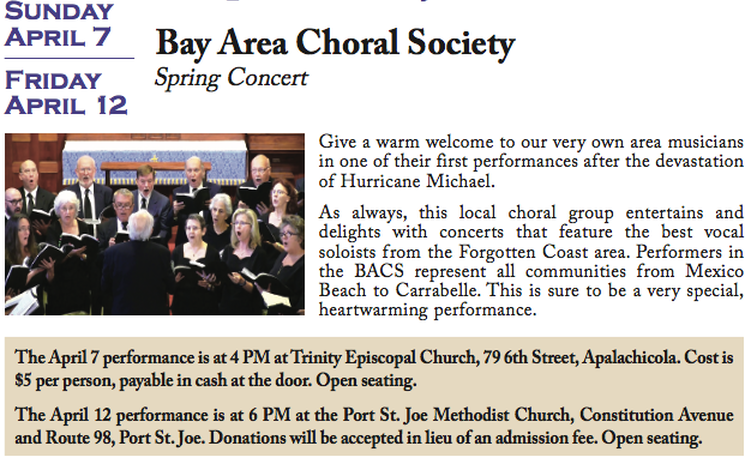 You can also contact the church office (info@trinityapalachicola.org/850-653-9550) and leave your name/phone number/email. Sign up deadline is Monday, April 8. We are so happy to hear from Christena Little about their safe arrival in Guam and how they are settling in to their new home. Read her letter here . 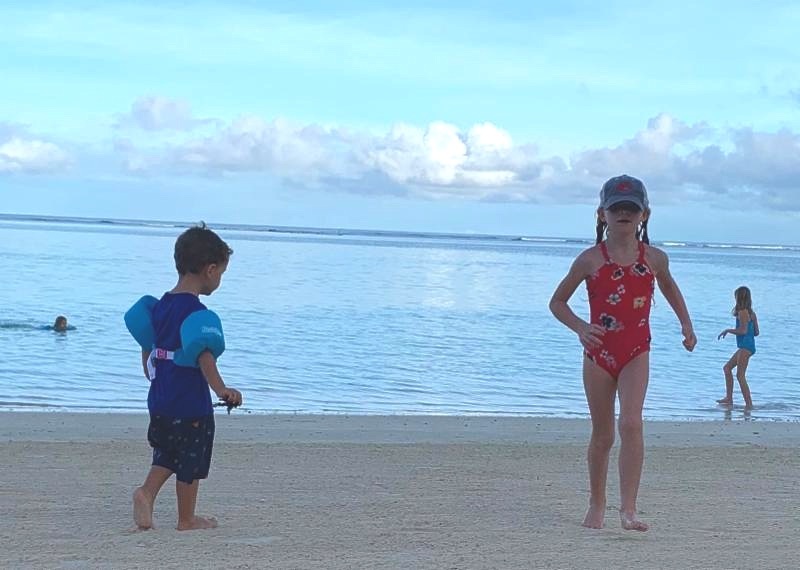 The Little children (at left) are enjoying their new beach in Guam. Our Parish Survey, conducted last summer, has revealed some interesting information about where we live now, and how far we travel to Sunday services and other Trinity events. Nearly 70% of us are full-time residents of the Apalachicola/St. George Island,Cape San Blas area, while one-third of us live within two miles of Trinity. See the complete breakdown here .